Mick Ronson. 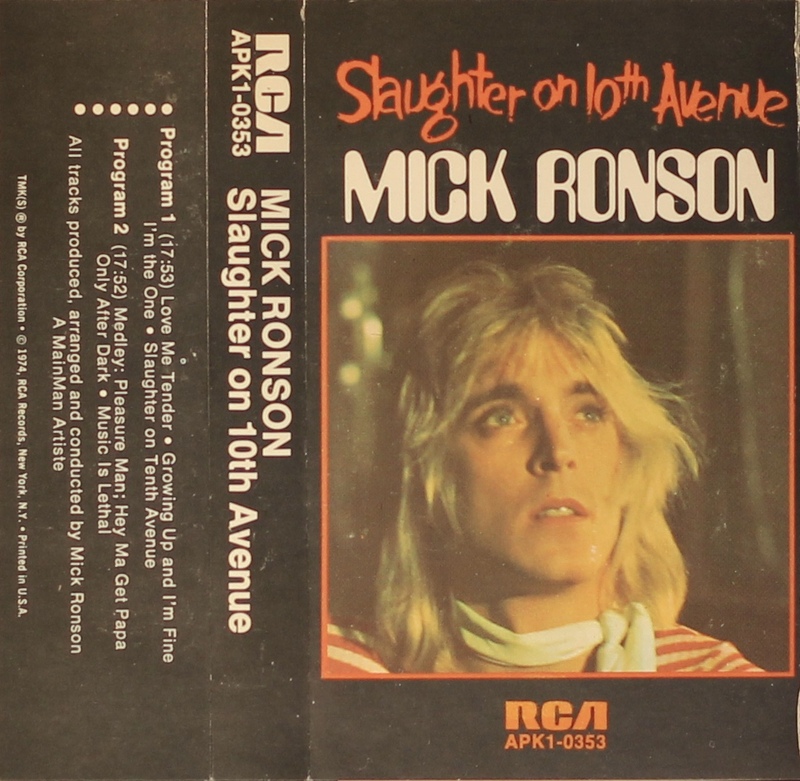 ‘Slaughter On 10th Avenue’: USA; RCA, APK1-0353; 1974. Cover panels on thick paper with track list on the rear half-panel. 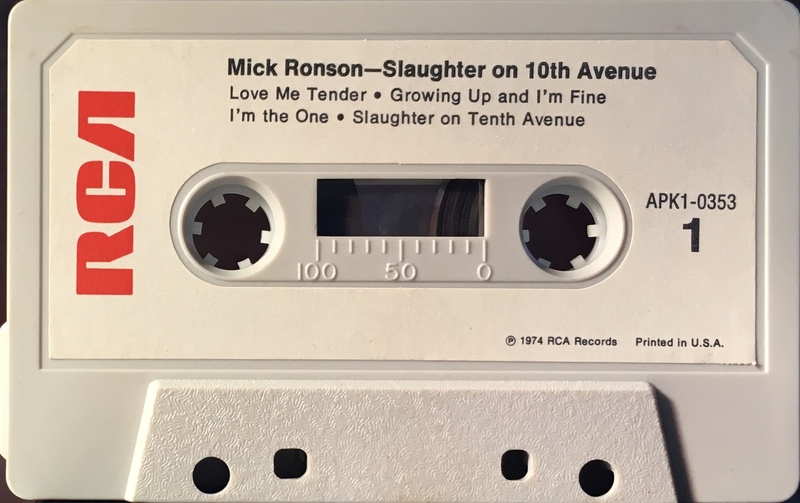 David Bowie wrote ‘Growing Up And I’m Fine’; co-wrote ‘Hey Ma Get Pa’; and gave a lyrical translation to the song Lo Vorrei, Non Vorrei, Ma Se Vuoi which he renamed as ‘Music Is Lethal’. Black ink printed onto white paper label with solid red RCA onto grey shell.